We are but three months removed from the New England Patriots’ victory in the Superbowl over the Seattle Seahawks and with the NFL Draft having just passed. The never-ending cycle of news which makes the league a year-round spectacle continues unabated. Though it should come as no surprise the NFL champions are now the subject of an even bigger controversy and debate than was first thought. At the center of the latest furor is the question did the Patriots know of the use of the deflated balls during the AFC Championship game and their victory over the Indianapolis Colts. Also , to what extent was the role in this entire drama , played by Superbowl MVP and team quarterback Tom Brady ? The player has constantly denied any wrongdoing on his part and that he knew nothing of these allegations . Yet, the Ted Wells’ report commissioned by the NFL suggests otherwise. In the evidence now made pubic the content of several text messages and e-mails on the surface would appear to be damaging. Circumstantial as this evidence appears to be, nowhere in the report is there any evidence given by Brady or any senior officials with the Patriots’ franchise . Instead much of the uncorroborated evidence and content are that of t the e-mails and text messages. From my own standpoint , I believe where there’s smoke there is fire and the embers have been burning long and hard ever since this story began to shed light in the aftermath of the game between the Colts and Patriots. 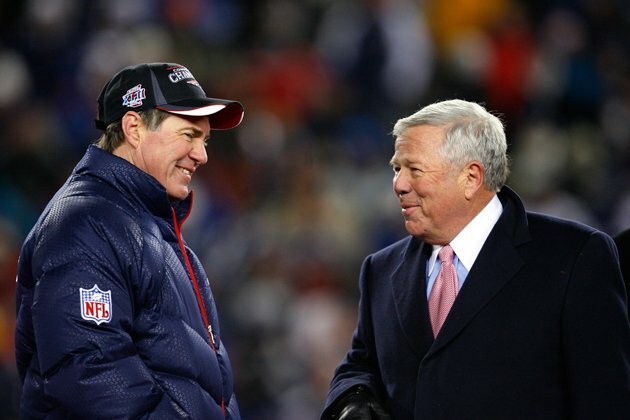 Winning team owner , Robert Kraft , has been adamant all along, there has been no wrongdoing on the part of any senior official within the organization. However , Bill Belichick and a number of his coaching staff subordinates have been rather less than open as to their knowledge of the events said to have taken place . With calls for Tom Brady’s suspension , a monetary fine and the taking away of future draft picks , it remains to be seen what steps will be taken by NFL Commissioner Roger Goodell . Patriots’ owner Robert Kraft was an avid supporter and his succeeding Paul Tagliabue , but along the way the commissioner has made repeated pratfalls and erred with his decision making. Brady’s interview with veteran journalist Jim Gray was less than candid , with Gray simply fawning over the NFL star while a raucous supportive Brady inspired crowd simply challenged the veracity of the case against the player. If the NFL is to have any type of credibility, then their stance against the New England Patriots must and should be one, where the franchise is actually made an example of , rather than their being given a slap on the wrist. During the regular season and this off-season , the walls continue to come tumbling down around the ears of the league and its hierarchy. While Tom Brady continues to plead his innocence , one of the more telling points of his interview with Gray, was the very fact the player never directly addressed the allegations against him, instead, indirectly suggesting he would have to read the Wells’ report before consulting with representatives , and then making a public statement on the matter. Merely suggesting , he will first speak with his lawyers before deciding whether or not there might grounds for a legal recourse. Jameis Winston was the first overall pick in the NFL Draft and with the choice comes the scrutiny of the fans and the NFL analysts. Tampa Bay Buccaneers’ GM Jason Licht stipulated this was the most important draft in the franchise’s history and the future of the Buccaneers will now rest with the former Florida State quarterback. Tampa Bay will enter into the preseason with a number of decisions to be made , with several places on the roster likely to be up for grabs. The first of the preseason games will take place on 15th August when the Buccaneers face the Minnesota Vikings at TCF Stadium in Minneapolis , Minnesota ,. For the Buccaneers’ rookies , this will be the first opportunity afforded them as they begin their professional careers in the NFL . Jameis Winston for his part will seek to justify Tampa’s decision in making him the number one overall pick , even if there continues to be questions about his character , ability and leadership. Head coach Lovie Smith for his part will certainly have his work cut for him as he seeks to get this team to show some consistency after a lackluster season in 2014. The Tampa Bay Buccaneers will open their regular season with a home game against the Tennessee Titans in a match-up which will likely pit the two most recent Heisman Trophy winners against each other, when Jameis Winston takes to the field against Marcus Mariota. Former Oregon Ducks’ quarterback Mariota, I believe will be the starting quarterback for the Titans beating out Zach Mettenberger , Charlie Whitehurst and Jordan Palmer for the starting role on the team ! Inasmuch, as there was a great deal of hype about this year’s NFL Draft and the quality of the players overall. Until these athletes here the first snap of the ball, I truly believe we cannot make a firm assessment as to who will be an outright success and who is likely to be a complete failure. Inasmuch, as there was a great deal of hype about this year’s NFL Draft and the quality of the players overall. Until these athletes here the first snap of the ball, I truly believe we cannot make a firm assessment as to who will be an outright success and who is likely to be a complete failure. The more things change the more they remain the same and the claim can be made for the Oakland Raiders, not much has changed over the last eight years. Jack Del Rio comes in as the new head coach succeeding Dennis Allen in the position . Under team owner , Mark Davis and GM Reggie McKenzie the turn-style approach of firing and hiring a head coach has happened with alarming regularity during the time-frame mentioned. The choices made by the front office will once again come in for a great deal of scrutiny as they have done for the last ten years concerning the NFL Draft. In that time the Raiders have not won an AFC West divisional title or made the NFL postseason . Which begs the question , will this be the year Oakland finally gets things right ? Drafting a wide receiver for the franchise , with the taking of Amari Cooper gives Derek Carr one more option for a team , which failed miserably on offense throughout much of last season. If the offense was an eyesore to witness, then their defense was not much better , with the team being among the worst the NFL had to offer in 2014. Reggie McKenzie and Mark Davis placed an emphasis on making changes during this off-season with the acquisition of several unrestricted free agents seeking to bolster the roster. Amari Cooper alongside his fellow rookie teammates will seek to impress Del Rio’s coaching staff hoping to gain a starting role on a team still searching consistency beyond the obvious success once accustomed with this franchise. That whole process will begin with the Raiders’ preseason schedule before heading into the regular season. Their first game of NFL’s preseason will be against the St Louis Rams at the O .Coliseum in Oakland , California,. Oakland’s first two games of their regular season will not be easy, as they play the Cincinnati Bengals in week one and then face off against the Baltimore Ravens in week two. With both contests being home games , the advantage one might think should favor the home team. Based on last season , the Raiders were simply abysmal at home , just as they were away from the O. Coliseum. From my own personal standpoint, I believe Philip Rivers to be the best quarterback in the NFL not to have won a Superbowl . His playoff appearances for the San Diego Chargers have been gallant efforts , albeit , he has been ill-served by the coaching deficiencies of Norv Turner and number of other head coaches to have been with the franchise during the player’s career with the Chargers. During the off-season rumors continued to swirl that the organization had the intent of seeking to trade their Pro Bowl quarterback. As the rumors continue, one can’t be sure what the priorities of the franchise might be . Is actually seeking to be competitive this upcoming season or the wish of the Spanos’ family as the owners of the organization seeking to relocate to the greater Los Angeles’ area ? I have always said there is no common sense to be found in the state of California when it comes to intelligence , much less their teams actually being competitive in professional sports. Granted , the Golden State Warriors had one hell of a season and might just be the prohibitive favorites for this season’s NBA title . Yet beyond that , what has the state got offer by way of recent success concerning their professional sports’ franchises ? Dependent upon one’s view, the San Diego Chargers might just be the second or third best team in the AFC West , with the dominant force being the Denver Broncos. Mike McCoy and his coaching staff this season might have a glimmer of hope as the regression of the Broncos continues. Peyton Manning is not the player of old , and core elements of the team have also began to slow down . With a new head coach succeeding John Fox , it will interesting to see if Gary Kubiak can bring out the best in the reigning AFC West champions. This is likely to be Rivers’ last chance and season with the Chargers, as they strive to win a Superbowl. Those efforts will begin in earnest with their preseason schedule , with game one against the Dallas Cowboys on 13th August , 2015 at Texas Stadium , Arlington , Texas. However , their season will begin with a stern test with their opponents being the Detroit Lions in their home opener at Qualcomm Stadium in San Diego , California,. 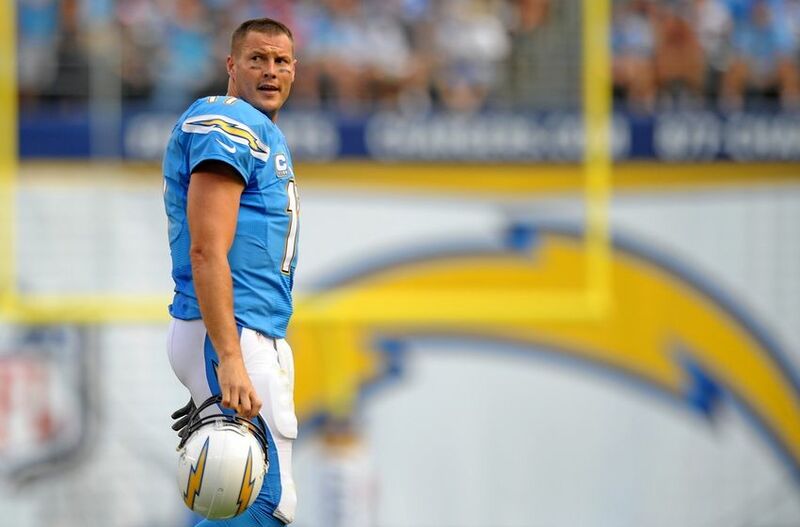 There is the remote possibility Chargers’ GM Tom Telesco could very well trade the veteran quarterback, Philip Rivers at some point during the season , using the player as trade-bait to obtain a slew of future draft picks. Yet , to my mind , if it were San Diego’s intent to do so , then why not make such a deal during the NFL Draft, rather than possibly seeking to do so midway through regular season ? Todd Bowles has been brought in to clean up the mess presided over by former New York Jets’ GM John Idzik and then head coach Rex Ryan . Both were fired during the off-season, with Bowles succeeding Ryan and Mike Maccagan replacing Idzik. However, with Bowles likely to be his own man, along with bringing in an entirely a new coaching staff . There is no likelihood, loyalty will be shown to starting quarterback Geno Smith , whose career with the Jets since being drafted has simply been more about misfires on Smith’s part rather than any semblance of success. Geno Smith’s two-year record as a starter (11-18) reads like a manual of what can go wrong when praised has been heaped on a player who is simply overrated and who has shown no actual signs of progress. Having drafted Baylor quarterback Bryce Petty , possibly as the immediate solution to the Jets’ woes , it will be interesting to witness whether or not Bowles feels there is a need for a quarterback competition for the starting quarterback position for the upcoming season. With Smith still signed to his rookie contract , there is no obligation for the Jets to pick up the obligation of signing him to a long-term deal after this season. I sincerely doubt Geno Smith can meet the expectations sought by Todd Bowles , much less by anyone within the Jets’ front office. Rapper and business entrepreneur , Jay-Z will have a hard time selling his client to any bidder, even if there is a remote smattering of interest . If Smith fails this season , then his future in the NFL would become extremely bleak. Personally, I do not believe veteran Ryan Fitzpatrick can supply the New York Jets with the ability sought , even if there is the chance of Tom Brady being made to sit out part or the entire regular season, because the AFC East would still be the New England Patriots’ to lose. No other team within the division comes remotely close to challenging the reigning divisional and Superbowl champions. There appears to be a growing belief among a certain sector of NFL fans and some comedians that Philadelphia Eagles’ coach Chip Kelly is not only delusional , but egotistical and completely out of his mind. Beyond the acquisition of Tim Tebow , which many are still trying to figure out what Tebow has to offer any NFL franchise after three years of failure and not an iota of NFL ability shown at the quarterback position. Kelly has obliterated a roster , seeking establishing a team built in his own likeness , In other words being able to put points on the scoreboard , while showing no real propensity for playing defense. And you wonder why the Eagles can’t win at the highest level under Kelly ? The Eagles’ head coach believes his coaching philosophy seen during his years in the Pac-12 can now be brought to the NFL . Steve Spurrier found out that type of idiocy was not welcomed in the league and his time with the Washington Redskins was not only an unmitigated disaster, but the ramifications are still being felt to this day. As for the Eagles, it would appear team owner , Jeff Lurie and GM Howie Roseman have handed over the reins to Kelly and allowed his drunken stupidity to carry on unabated. Heading into the season after the departure of Nick Foles it is not difficult to suggest , this Eagles’ team is likely to struggle . Sam Bradford or any of the backups on the depth chart are unlikely to be as effective as Foles , who in is starting role for the franchise proved to be productive. The player now with the St Louis Rams is likely to improve the competitiveness of the Rams , while head coach Jeff Fisher finally has a player he believes capable of providing the team with the offense needed to be competitive in a highly combative NFC West division. Picture gallery . By clicking on an individual frame you can view that picture alongside a narrative. With the rookie training camps yet to take place, but with some of the draftees now in camp acclimatizing themselves to their new surroundings . What do you believe will be their biggest obstacle as a player heading into the preseason as well as the regular season of the NFL ? Also in light of the findings of the Wells’ Report , do you think the league hierarchy will mete out a severe enough punishment for the New England Patriots ? Your comments are more than welcomed concerning this topic and any other NFL related subject. This month in NFL history . On this date (9th May) in NFL history. This entry was posted in Football, New England Patriots, NFL, Sports, Sports Conversations, Uncagegorized and tagged Football, NFL, Sports, Sports Conversations, Tom Brady, Uncategorized. Bookmark the permalink. So the NFL will now wait until Monday before announcing any punishment to be meted out against the New England Patriots and in particular quarterback Tom Brady . If Brady is to be the only player to be penalized for the team’s behavior then it once again indicates how soft the league hierarchy remains and where there is likely to be an appeal by the player with the NFLPA (union) likely to provide him with union representation at any hearing to be presided over by an arbitrator . If Ted Wells believes his inquiry was subjective as well as objective then he is as much of an @sshole as the entire league hierarchy , led by NFL Commissioner Roger Goodell . Wells on a good day couldn’t tell the difference between jurisdiction and predilection . I believe the Patriots are guilty of cheating in this instance , but the league has failed to act with any type of authority as usual , rather being reactive and repeatedly showing their incompetence as a governing body. This inquiry was more of a face saving exercise, than the league actually seeking the truth, otherwise the investigation would have been more in-depth rather than based on supposition , circumstantial and their being few interviews with detailed evidentiary notes other than what we’re told are damning text and e-mails . So latest word is that the NFL is going to suspend Brady, maybe to make an example out of him. In the wake of suspensions for domestic violence, if I were the league, I’d be very careful how they choose to punish Brady. Two games won’t come remotely close enough, to the suspension needed . Besides , Tom Brady would be allowed to challenge any such punishment as would be his right , with his position being defended by the NFLPA (union) in front of an arbitrator. Ted Wells’ report is built around a great deal of circumstantial evidence without anything concrete beyond the e-mails and texts . No real interviews of Patriots’ employees are actually said to have taken place with it being noted in the evidence gathered. So explain to me how this represents a fair investigation ? Granted , I believe the New England Patriots are definitely guilty of some misdeed , but a great deal of this mess is actually of the NFL’s own making . When this all came to light , the league should have immediately began an investigation . Instead they chose to wait doddering around like aging imbeciles .